The Disney-Fox deal recently received anti-trust clearing from the Unites States Department of Justice, which means that Disney may soon control nearly half of the domestic box office, according to financial analysts. The deal, worth upwards of $71 billion, could lead to an unprecedented box office dominance from the company who already owns Lucasfilm, Pixar, and Marvel, all of which have been purchased in the last 12 years. If the Fox deal goes through, Disney is going to have a lot more power and influence in the entertainment industry than they already do. Disney currently holds the record for the three highest grossing movies domestically of 2018 so far with Black Panther ($699.9 million), Infinity War ($675.9 million), and Incredibles 2 ($535.8 million). Looking at the top ten, they have 5 movies including the aforementioned titles with Solo: A Star Wars Story coming in at number 7 and Ant-Man and the Wasp at number 10. If the Fox deal goes through, they would gain another film in the top ten with the addition of Deadpool 2. 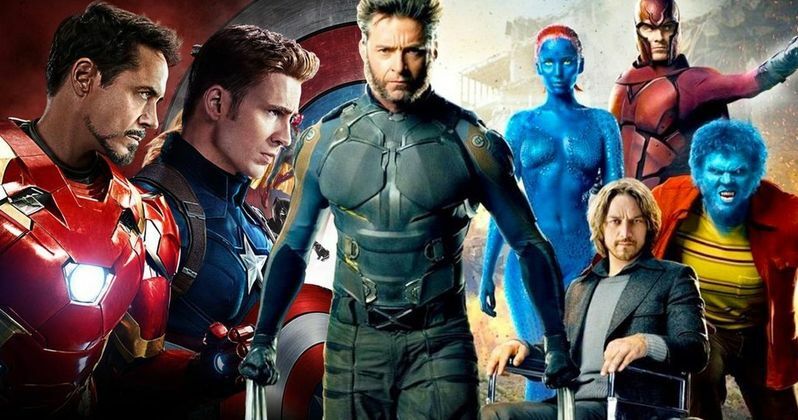 Adding the X-Men franchise, along with Avatar and Fantastic Four franchises could end up with Disney taking over nearly half of the domestic box office in the future. According to a new report, Disney and Fox would control close to half of the 2018 domestic box office. The prediction puts the number closer to 40 percent, which is huge and adjusted for looking at the rest of the year, not where Disney and Fox are currently. Universal Pictures, Paramount Pictures, Warner Bros., and Sony Pictures appear to be in a similar ballpark, but only Warner Bros.' parent company TimeWarner (16 percent) and NBC/Universal (15 percent) come "close" to Disney's projected numbers. The Disney and Fox deal will not only show box office dominance, but it will also have far-reaching benefits over theater chains, and a command in the developing streaming market. The report states that Disney could become the "Walmart of Hollywood." It was already reported last year that Disney was able to command a higher portion of movie tickets sold for The Last Jedi, taking around 65 percent of the ticket revenue as opposed to the typical 55 percent. If the Fox deal goes through, Disney will be able to pull that maneuver for nearly everything that they release from here on out. If the Disney and Fox deal does end up going through, it will not occur until next summer, but as of this writing, it's looking like the merger will end up happening unless something drastic happens over the next year. While the news of the merger sounds good for fans of the Marvel Cinematic Universe, it could see Disney becoming even more successful and powerful than they already are, which is really saying something. Is it right for one company to have a near-monopoly over Hollywood? You can read more about the Disney and Fox deal dominating the domestic box office at CNN Money.